Midnight market? Seriously? 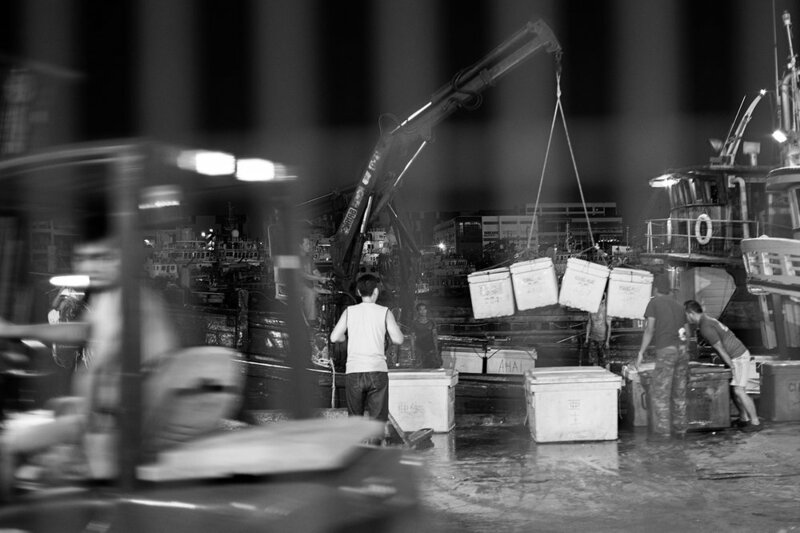 I was stunned when asked to do a project at Jurong Fishery Port starting at 12am. It is surprise that there is such a place in Singapore since 99% of shops closed after 10pm. It was a whole new experience for me as a photographer and I am so excited. 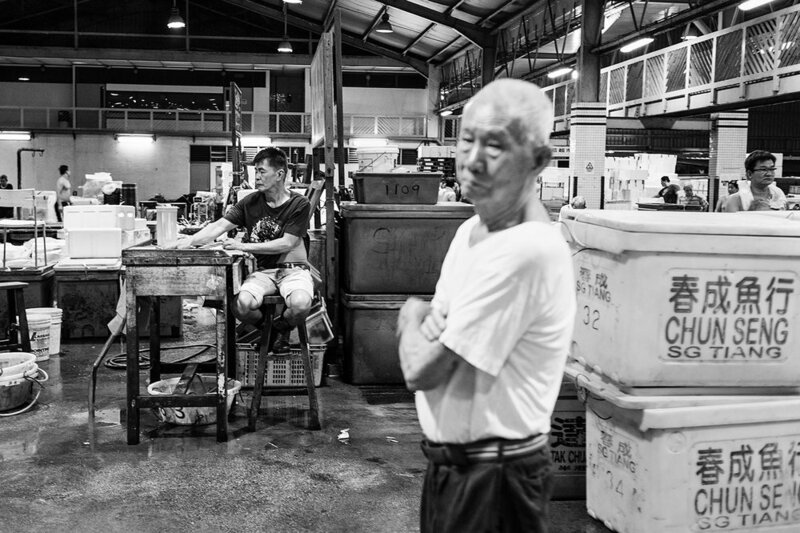 The Jurong fish port established on year 1969 located at west of Jurong. 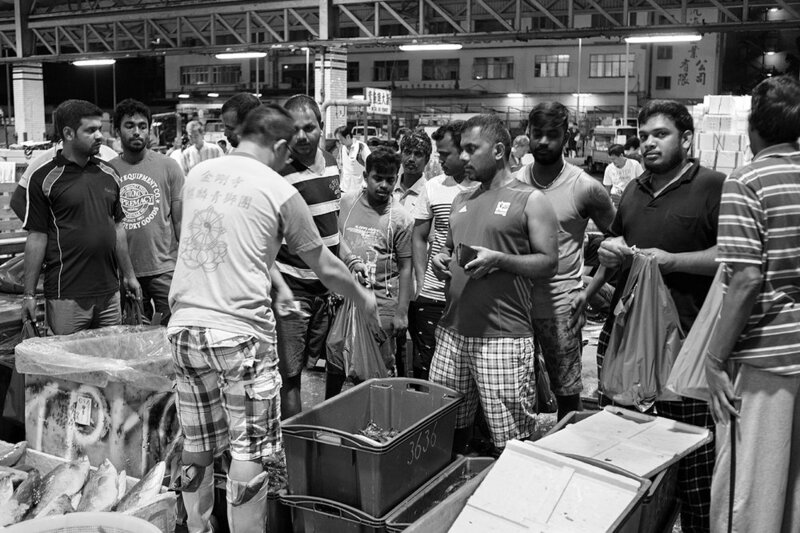 It acts as a centralized fish auctioning system in place, it attracted most of the local came to have deal while they could compare prices and snag a cheaper catch. 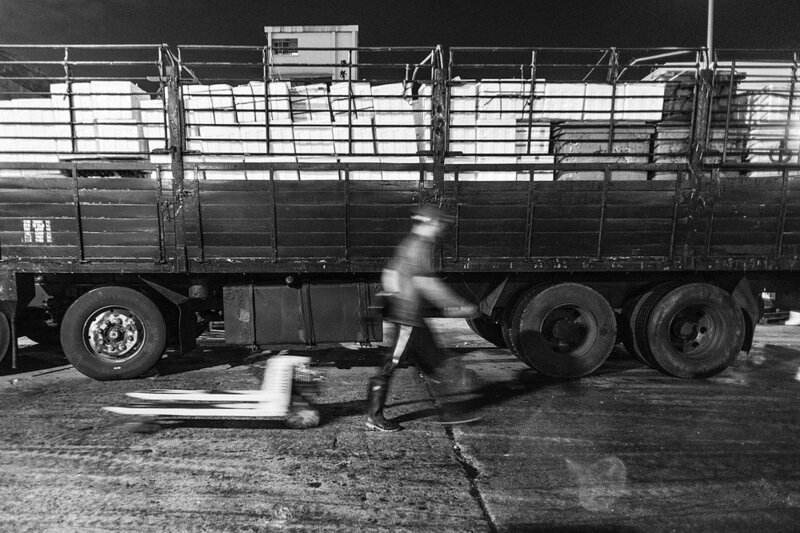 What makes Jurong Fish Port unique is the operating time start from 12am to 5am (the time people snore on the bed). For this documentary photography I used black and white to present to emphasize the tone and eliminate the distracting orange lighting.